Item # 318682 Stash Points: 11,995 (?) This is the number of points you get in The Zumiez Stash for purchasing this item. Stash points are redeemable for exclusive rewards only available to Zumiez Stash members. To redeem your points check out the rewards catalog on thestash.zumiez.com. 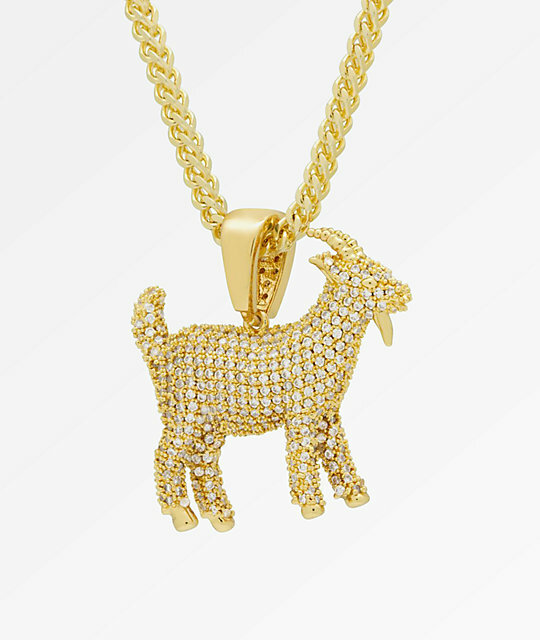 Rock a piece that's inspired by one of the greatest rappers of all time, The GOAT Iced Gold Pendant Necklace from Notorious B.I.G. x King Ice This collaborative design pays homage to one of the best rappers in history, Notorious B.I.G. 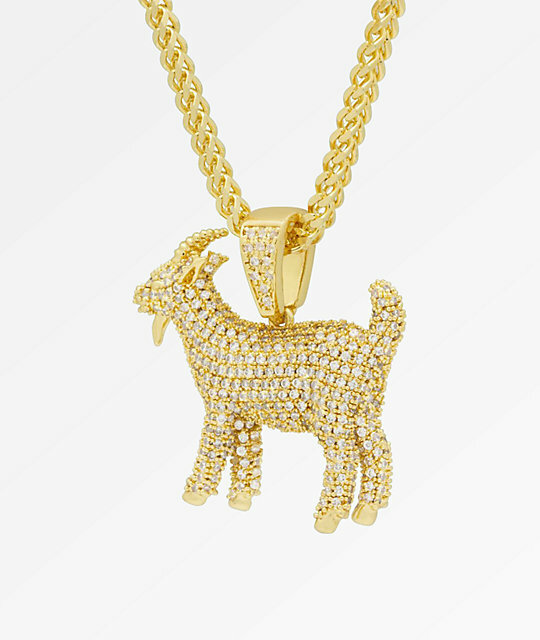 Featuring a 3-D goat shaped pendant that symbolizes the "greatest of all time" and 14k gold plating throughout, this pendant is completely iced out with high quality CZ stones. A 26" stainless steel Franco chain is included, and is held in place by a sturdy lobster clasp for easy wear. 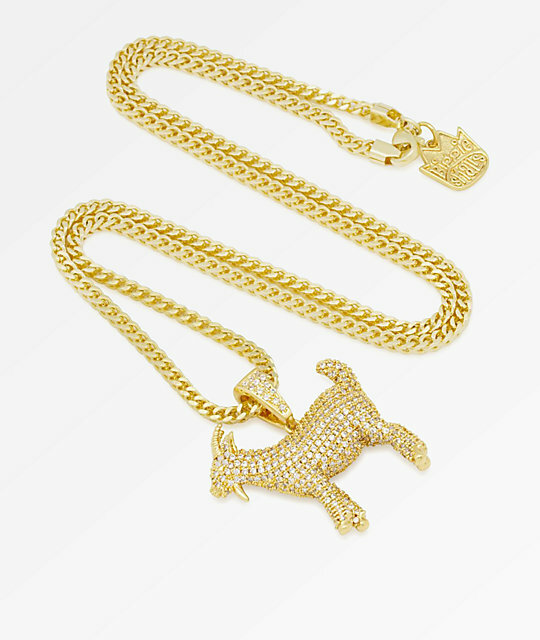 The GOAT Iced Gold Pendant Necklace from Notorious B.I.G. x King Ice. Official King Ice and Notorious B.I.G. collaborative design. Clear cubic zirconia stones throughout. Brass pendant with a dipped 14k gold plating. 1 1/8" (2.85cm) x 1 1/4" (3.175cm) pendants. Avoid cleaning solutions and moisture. Wipe surfaces with cleaning cloth for most desirable finish.